Pepperstone is a Forex and CFD broker that specializes in providing online trading services to retail investors. The company first launched in 2010. In a short space of time, it became one of the largest online brokers offering the Metatrader 4 platform. The company rose up against fierce competition like AxiTrader, Vantage FX, IC Markets and ThinkForex who all set up shop within a few years of one another. Despite tough local competition in Sydney, Pepperstone succeeded to become one of the largest Forex and CFD brokers in the world with a reputation and brand known by traders worldwide and received recognition countless times as a fast-growing company throughout their journey to the top. 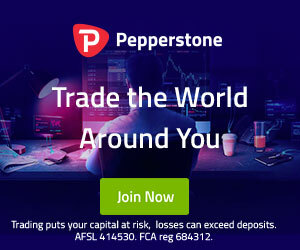 Pepperstone is a trusted brand in the world of online Forex and CFD trading and has been for many years. They focus exclusively on offering high-quality service to retail traders and not drifting their attention to other servicing other segments. They take regulation seriously and operate to a high standard, there have been no scandals that have dirtied the name of Pepperstone. As Pepperstone operates as two individual entities addressing clients separately in Europe and the rest of the world from their FCA and ASIC regulated branches respectively. Because of that, some of the information may vary slightly since we have reviewed the services of the FCA regulated entity. Unlike some other brokers, Pepperstone is offering cTrader via both companies. Pepperstone have a good blend of different account types to suit different types of traders, it’s worth paying attention to their Active Trader account which pays rebates to active traders. You should also take note that leverage above 1:30 for European traders is restricted unless you classify as a professional trader. Pepperstone operates as two separate entities. Their recently established office in the United Kingdom is regulated by the Financial Conduct Authority for their European clients. This makes them one of the few FCA regulated cTrader Brokers. Their Sydney based entity and headquarters which is regulated by ASIC for the rest of the world. One of the unique aspects of Pepperstone is that they offer a variety of Futures on cTrader. The Pepperstone offers soft commodity futures on cTrader and MT4. In total there are 6 CFDs available, cotton, sugar, coffee, cocoa and orange juice. This is a very cool differentiator. Pepperstone makes its historical tick data freely available on their website. The data ranges from 2009 until 2016 which is available in monthly periods for 15 forex trading pairs. This is particularly useful for any algo traders who want to use Pepperstone’s historical tick data in their backtesting to optimize their trading strategies or for traders who want to analyze their historical data in another way, for example, building charts or comparing against other brokers. If you need historical forex tick data, Pepperstone is the place to go! Pepperstone is one forex broker that is extremely active when it comes to webinars. Their weekly market outlook webinar happens (you guessed it) every week, on a Thursday. On top of that, they insert regular webinars into their schedule to cover specific topics to help educate traders. Pepperstone offers one of the most creative reward schemes we have seen, and it’s certainly useful. Not many other forex brokers allow you to earn air miles from your trading activity. However, it’s sadly not available to their European clients serviced by their UK, FCA company. Qantas is a leading Australian airline company and when you trade certain Forex pairs with Pepperstone you are rewarded with Qantas Points which can be used to contribute towards the cost of your ticket with the airline. It goes without saying that there are terms and conditions. Don’t forget to read them so you won’t be disappointed.